Anyone tried any Hut or Grassy Creek hooter guts? I've never made a hoot before, only duck calls. I was thinking of making one for my brother so I ordered some from each. Looks like it is going to sound similar to a deer grunt! LOL Any pointers on the barrel or insert? 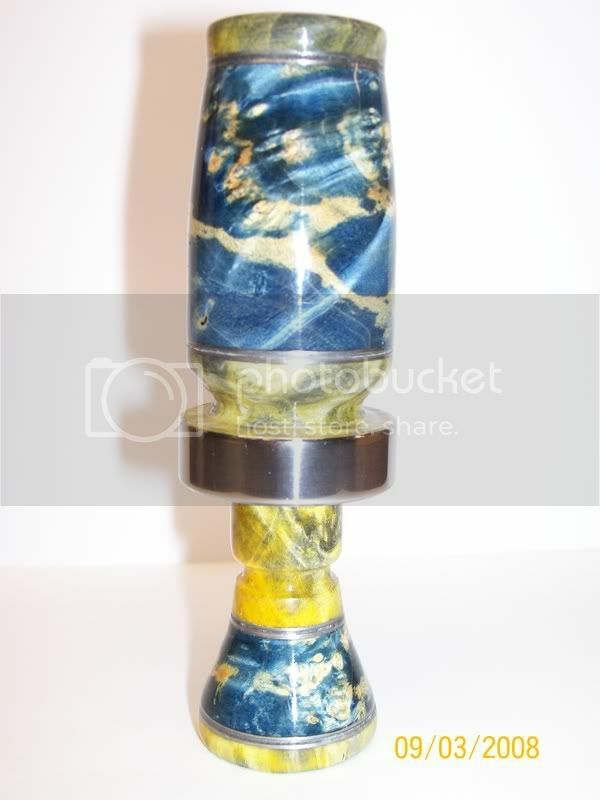 Use Grassy Creek guts and use Shell creek gutserts for your Owl calls. You might find a better deal. Yeah, you really should check out Al's stuff. Great prices, quality products, and great service. Yes Al, I did order some from Hut. Maybe I should be thrown from the island close enough that I can swim back! I'm sorry for that. Didn't even dawn on me. I've ordered duck call and lanyard material from ya before. As everyone else says: top notch supplies and service as well. Dunno what I was thinkin. Got some from grassy cause I wanted to try to dabble on a pot call or two. I have no excuse for the other. are some dimensions and such a close guarded secret on these type of calls? I still don't know if it's the right sound I'm looking for. I was thinking of a barred owl I think. But their sound of hoots sound more like from a whistle than a reed. Went to Wally-World whine ago and got a palmer type to disassemble and study. Can't apolagize enough and it won't happen again! I used one of the Knight and Hale calls to study for my owl hooters. There is a pretty good thread with sizes and dimensions a few post down the page that you might not have seen. As for ordering from Hut - I think they are a great company and all of my dealings with them have been very positive. Who you order from is up to you and there are no hard feelings here either way. There was a time, a year or so ago when I had a link to there web site on my store page because sometimes I am out and they have stuff the call makers need. Darren at Grassy Creek is a great guy too, and has good stuff also.